Yesterday, I signed Evidence for Democracy's pledge to support investment in public-interest science, ensure open, honest and timely communication of scientific information, and make public the evidence considered in government decisions. Green supporters no longer need to be concerned that party leader Elizabeth May won't be allowed to participate in the televised leaders' debates in this year's election. Why did Elizabeth May bomb at the Press Gallery dinner? Some comics take their shot at explaining. Green Party leader Elizabeth May had to be ushered off the stage by Transport Minister Lisa Raitt after a rambling speech that offered admiration of Omar Khadr and a profanity-laced insult for Stephen Harper's cabinet. Elizabeth May said that she was sleep-deprived, sick, and overworked, and that she had failed in her attempt to be "edgy". If you live in the Ottawa area, join Elizabeth for the celebration of a remarkable Canadian. Renowned Canadian author, Farley Mowat, passed away on May 6, 2014 – his birthday was May 12. Greens of all ages with banners, signs, flags, flowers, drums and noisemakers join Elizabeth May, Fran Hunt-Jinnouchi, and Jo-Ann Roberts for Victoria's Earth Walk for Peace and the Planet. Elizabeth May gives an inspiring and hopeful speech. Elizabeth May extends her condolences to to families who have lost a loved one and to workers that continue to suffer from workplace injuries and illness on National Day of Mourning “The fact is that any workplace death or injury is preventable. Today, on Canada’s National Day of Mourning, let us act together to ensure that every Canadian can get home at the end of a working day, safe and sound.” - Elizabeth May Don't forget to Like and Share this post if you agree. Lot's going on in Sidney this weekend! Here are a few ideas to get you started... 1) The Saanich Peninsula Arts & Crafts show is on at the Mary Winspear Centre. Admission is only $4! The art work is incredible with a vast offering of mediums and techniques. 2) The Raincoast Conservation Foundation is holding a presentation along with Elizabeth May on Saturday at 6pm. Tickets are still available. 3) Woodshed Pizza is holding Bluegrass music, beer & pizza night on Saturday - guaranteed to be a good time! 4) Beacon Landing Bar & Grill has live latin and jazz music on Saturday night. 5) Pop-up book fair at the Haunted Book Shop on Third Street (Friday & Saturday) 6) Visit the Loose Threads exhibit at the Sidney Museum & Archives ( running the month of April). 7) Have you ever been whale watching? Well now is the time with 4 new babies cruising the Salish Sea! Contact Sidney Whale Watching for departure times and to book! 8) Tea Leaf reading... Sidney has its own resident tea leaf reader. Visit Tea Alley teas & things for more details and to book a tea time. While you are there treat yourself to a pedicure to get those toes ready for summer with Avalon Spa & Wellness Centre Visit the events calendar for more details! Two of Elizabeth May's proposed amendments to Bill C-46, the Pipeline Safety Act today were passed in committee! Her amendments proposed to strengthen protections to Indigenous peoples and taxpayers in the event of a pipeline spill. “I am thrilled that the Conservative members of the Natural Resources Committee chose to recognize the need to strengthen the polluter pay principle in Bill C-46. My amendments corrected what I saw as major weaknesses of the bill: that much of the recovery of funds from polluters is discretionary and that First Nations Peoples are not adequately included.” - Elizabeth May Don't forget to Share this historic moment with your Friends! 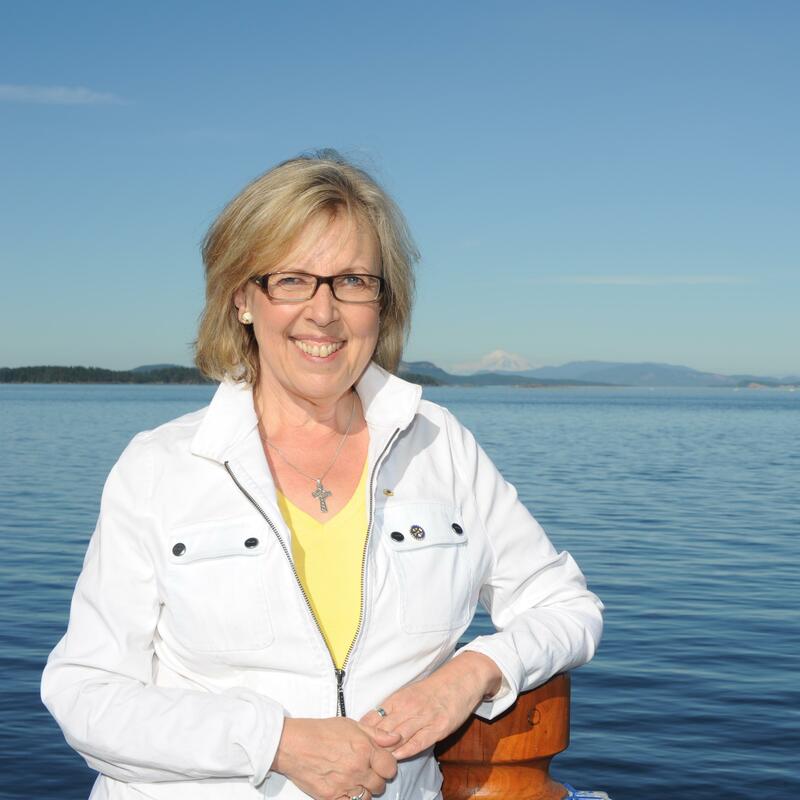 Canadians will hear Elizabeth May's Vision for Canada in the upcoming federal debates. This is an exciting time for Canadian Greens. Elizabeth May speaks with a voice of reason on CBC about Vancouver oil spill. As our country moves forward we have to look closely at cuts to vital infrastructure that threaten our health, safety and the environment's ability to sustain us. Conservatives want citizens to look the other way while they find excuses for their policy's failures. The facts are that there was a spill and the plan that they, the Conservatives, have enacted has been found inadequate. This begs the question what will happen under less ideal circumstances? On est fiers de notre chef Justin Trudeau aujourd'hui! “He said he had two reasons: One was that he thinks we need to make sure that the environment gets discussed and debated adequately in the debates and for that he thinks I should be there. The other [reason], which I really like, is that his daughter will be watching her dad in the debate, and he doesn’t want her to think it’s a boys-only thing to be in public life,” Elizabeth May said.